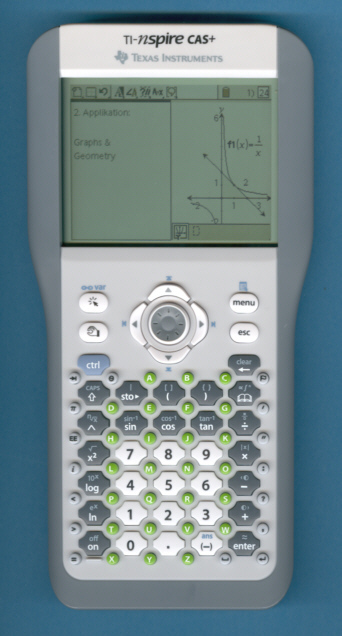 "TI-NSPIRE CAS+ Calculator. These are BRAND NEW, never turned on. Still have factory sticker on the front of the screen!!" Learn more about the Five Engineering Stages and understand how the Phoenix failed!. Architecture: Dismantling this late TI-Nspire CAS+ prototype reveals an internal design somewhere between the PLT-SHH1 prototype based on the sophisticated POMAP1509E and the ZEVIO architecture of the final TI-Nspire CAS. The disassembled TI-Nspire CAS+ preproduction unit (Manufactured October 2006) features one SST 39VF400A NOR Flash-ROM, manufactured by Silicon Storage Technology, Inc. with a 256k*16 organization and one ST NAND256W3A NAND Flash-ROM with 32M Bytes size. The program and data memory of the disassembled TI-Nspire CAS+ consists of one Qimonda HYB18L256160 SDRAM with 16M*16 size. © Joerg Woerner, October 23, 2007. No reprints without written permission.